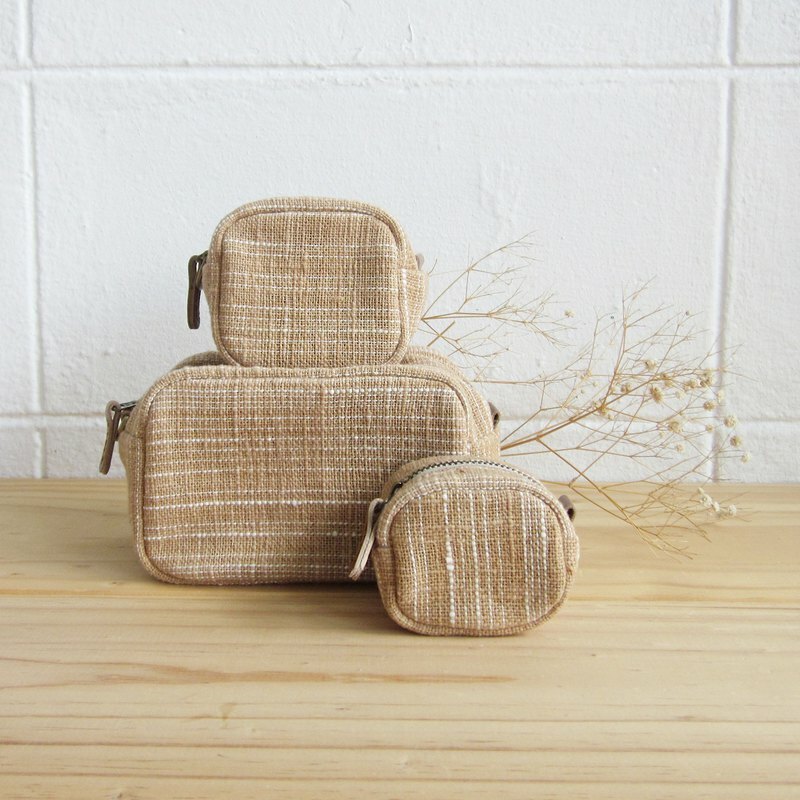 Coin Purses Little Tan SS Hand-woven and Botanical dyed Natural-Tan Color. Code : B0170-CJR Color : Natural-Tan Bag size Length : 2.7 Inches. / 6.5 cm. Height : 2.5 Inches. / 6 cm. Width : 2 Inches. / 5 cm. With its compact size and shape Chubby. The bag can contain as many coins. The bag consists of 100% cotton that has been hand woven and naturally dyed. The zipper is a zipper, brass teeth drawn steel slip and durable. The hook and loop a brass metal is strong. Durable in use The bag is made of cotton by Chiang Mai housewife with expertise in the field of weaving in particular. Fiber dyeing with plants native to the north of the country. Tan color is made from Pradoo. Du / Pradoo (Pterocarpus indicus) By the folk creation, Pradoo ,which is economics wood, is brought into fabric industry. The pradoo bark is use to produced dye. The bark is grounded and bring to boiled. The boiled liquid is extract to dye. Pradoo is another raw material which is suitable with conservation. We choose good quality cotton dyed through and clean lines with delicate. For the casual user And featured with beautiful colors. And attention to the environment and people by avoiding toxic ingredients or steps that need. Our products are safe and environmentally friendly. How To Care For Tan's Bags ^^ https://i.pinimg.com/originals/b6/c2/ed/b6c2ed1647207735086d5af2081c3b40.jpg PS. The color of the image you see may be distorted by the fact that, depending on the visibility of the device you use.